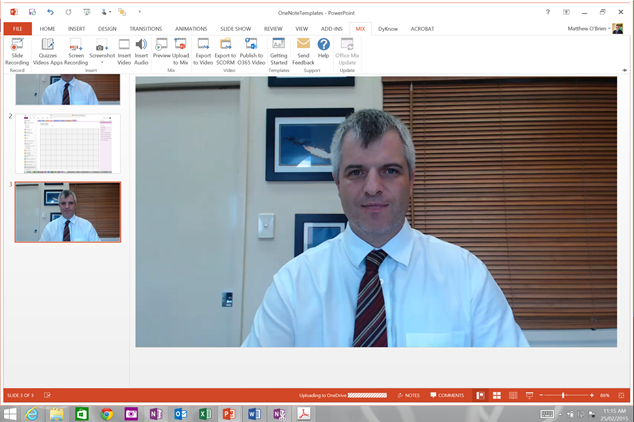 I work as the Head of Strategic Planning at Brisbane Boys' College, a secondary school in Australia. I enjoy technology and the way we can leverage it as educators to do things better, more efficiently and more interestingly. I have a huge interest in educational interfaces, especially the stylus/touch/tablet, and video instruction. I am also one of the weird people that really love playing with data and getting into the hands of non data lovers so they can impact student learning better. As part of the Microsoft Innovative Educator Expert program I have been really inspired to better document my thoughts, ideas and experiments! In this article, I want to show a few tricks to help you with the storing and calculating of marks and grades. Then, I want to show you the exciting stuff – how with a few simple processes you can visualise the marks book in a way that helps you see meaning and an individual story for each and every student. 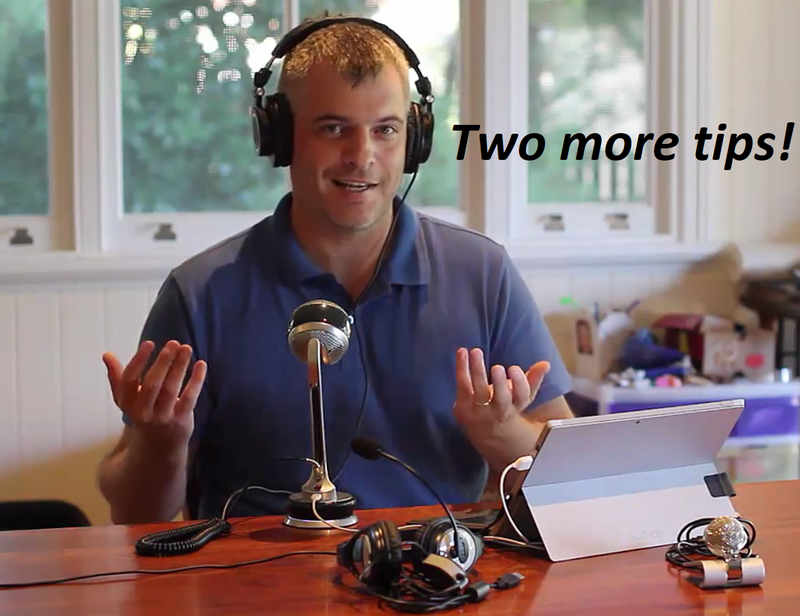 Those of you who have been reading my blog for a while know I am a big fan of TechSmith Camtasia, and this is my normal go to when recording video content. However, I’m in the process of writing a training course for teachers on creating video content, and wanted an easier entry point. Enter Microsoft Mix. Yesterday I wrote about starting to record audio for educational instruction, giving my ten top tips. If you haven’t read that, you need to read it first before reading this! Overnight, I have realised I missed two really important tips – so you get a bonus (albeit short) blog entry today. A friend of mine is at the start of her journey making recordings for educational instruction, and in conversations with her I realised that when we first start, there are a lot of questions we need answered. It can be quite daunting, yet like most things, once you start you only get better and better. So here are my ten quick tips for getting started, making it easy and trying to get the best possible outcome. I love the “Send to OneNote” application that sits running in the taskbar once OneNote is opened. 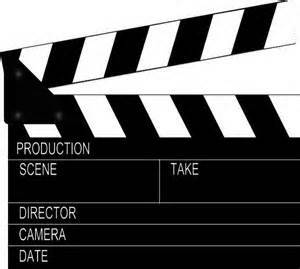 Yesterday I wrote about the making of my own DIY clapper board with OneNote “add-in”. Today I want to show how it works. There is really only one way to do this – and that’s with a video. 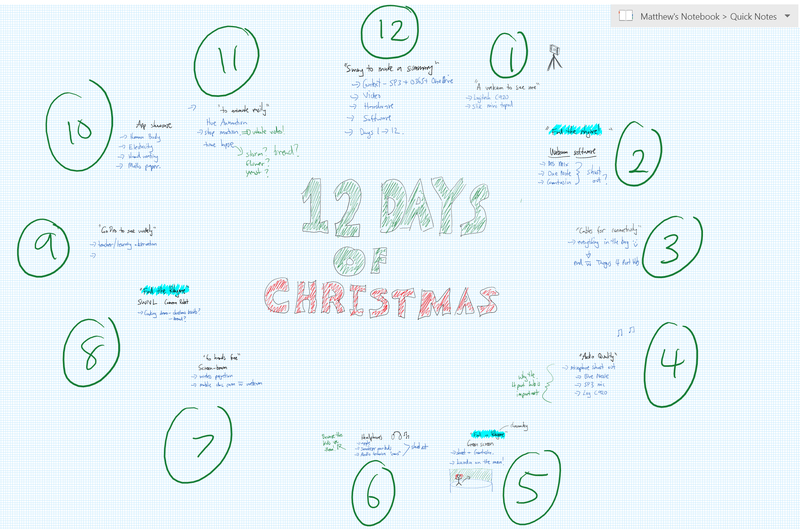 I was talking to a friend of mine yesterday and he asked me where the idea for my 12 days of Christmas blog series came from and just how much planning went into it. 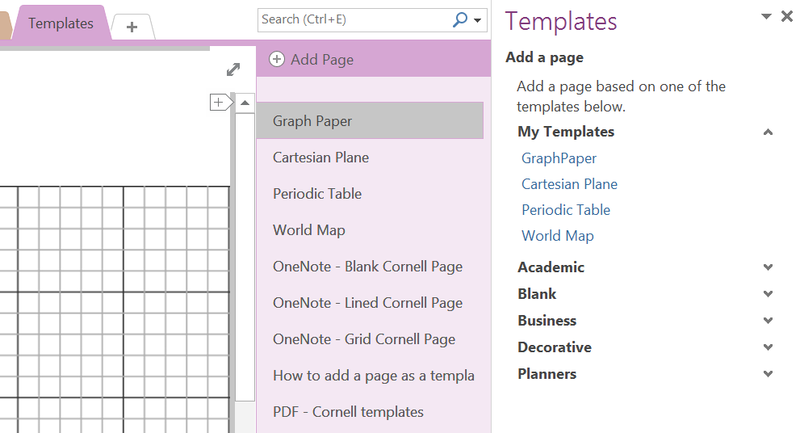 After I told him, and showed him my OneNote planning page, he said that I should really share it. So here it is! 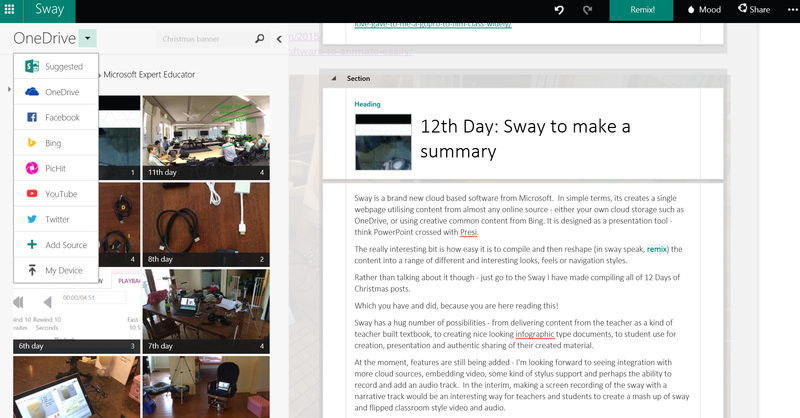 Sway is a brand new cloud based software from Microsoft. In simple terms, its creates a single webpage utilising content from almost any online source – either your own cloud storage such as OneDrive, or using creative common content from Bing. It is designed as a presentation tool – think PowerPoint crossed with Presi. A number of years ago, I started using a product called Sam animation, which was free software for educators for creating stop motion animation and time lapse video. The product has since changed its name to Hue Animation Studio, and costs a modest $20. I bought the new software today. And love it!